“White Collar Crimes” are serious charges and the consequences can be severe. As a result, defending a white collar crime at either the State or Federal level is not for attorneys who are inexperienced or afraid to tackle voluminous records. Haas Law performs a detailed review and analysis of the evidence. When needed, Haas Law also collaborates with experts and investigators necessary to defend your case. 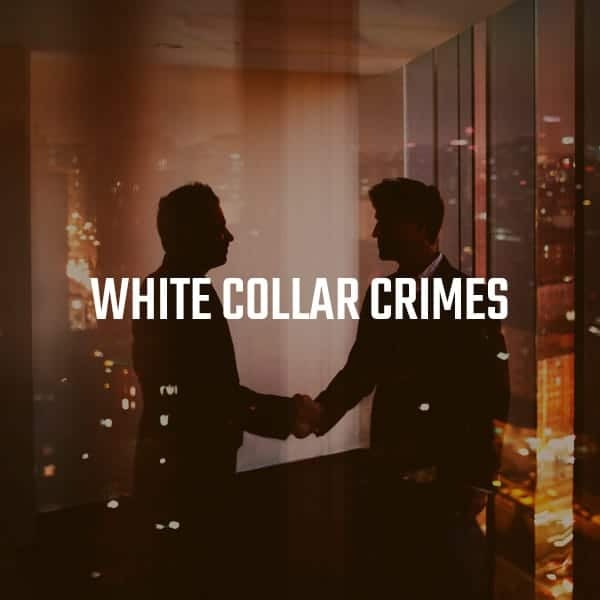 Because the amount of records in white collar crime cases can be voluminous, it is important to get an attorney involved as early as possible in the investigation. While it may be your first white collar case, it will not be ours. At Haas Law, every client’s case is unique and deserves particularized attention. Fighting the federal government requires experience and aggressive advocacy. Haas Law focuses on federal criminal defense and defending white collar crimes. We understand how the government builds its case against you. We then implement customized defense strategies to help you get the best results possible for your specific circumstances.